Shopify is a brilliant platform for selling your goods online. Setting up your shop is super-easy for beginners, their website will walk you through the process and they handle all payments for your goods. There are good reasons that Shopify has shot to such prominence in the last few years, by making it so easy to start selling online they have opened up eCommerce to a lot of people who have previously been put off by the technicalities of running an online store. Nowadays anyone can have their own store and start selling products such as their own home-made crafts and jewelry, photos, prints and pieces of art work and so on. 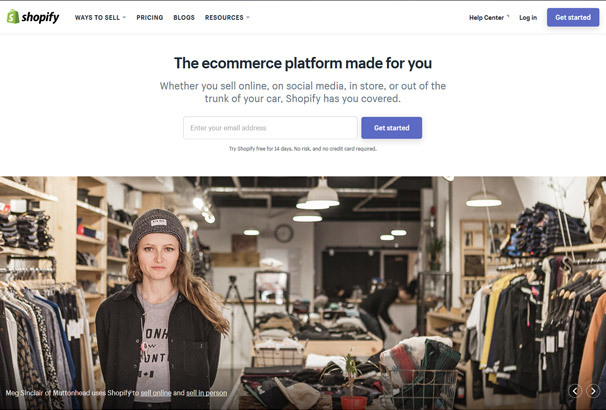 The admin panel of Shopify makes it super easy to go about creating your shop, you can choose different add-ons, tools and marketing options for your site. They also make the process of accepting payments easy with a number of payment processors to choose from and additional tools like abandoned cart recovery, email lists and best of all they provide excellent customer support should you need help with any aspect of your website. Once important part of your online store is choosing a theme for your shop and then adding your products. Of course product photos are important – better quality photos mean more sales, the design of your online store is also equally important. 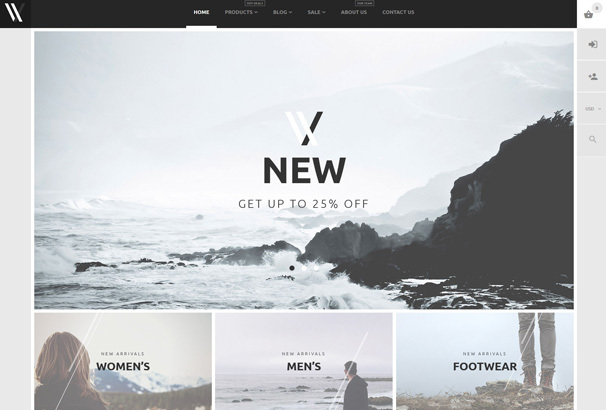 It’s essential to choose a theme which matches the tone of your products, which is why we have gathered together this collection of the Best Shopify themes we could find. All the themes in this list have been hand-chosen for having high quality designs, they are also responsive which means they look good on any size screen – this is important so you dont lose any sales because your website doesn’t work on mobiles / tablets etc. 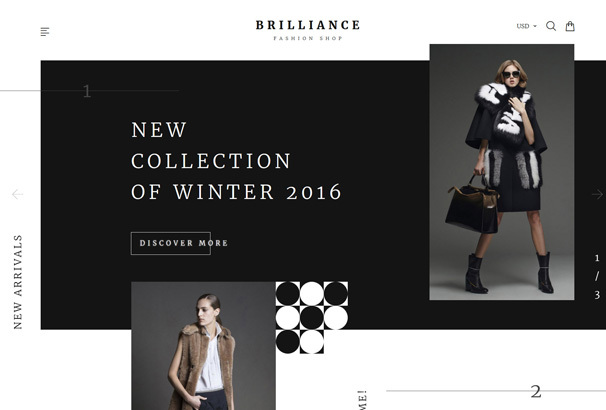 Brilliance is a modern looking Shopify theme designed and developed for online fashion clothes and accessories. With only black and white colors, theme looks very elegant and clean. Narrow lines and clean serif fonts further accent theme exclusiveness. 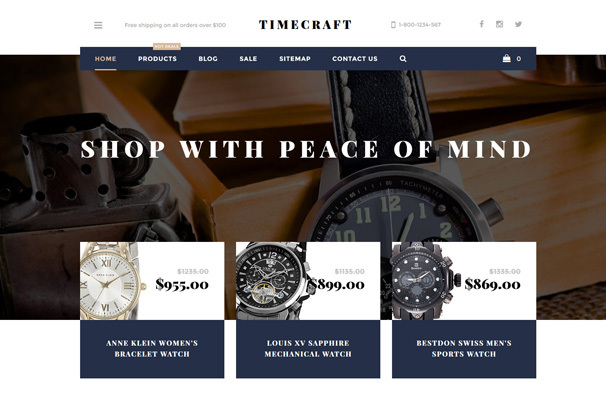 Time Craft is a perfect solution if you plan to sell watches online. It had everything you need straight out of the box and comes with an elegant and classical design ideal for online watch store. With an addition to ghost buttons, this theme comes with latest blog posts and Google map integration that is available on the home page. This awesome theme is powered by the Bootstrap framework and its code is optimized for speed and user-friendly mobile experience. The theme comes with large hero area and sidebar news area ideal for presenting your products on sale. Also, it comes with an integrated online chat to answer any of your customer’s questions. Huge sale is a multi purpose theme suitable for stores that have large and versatile inventory. 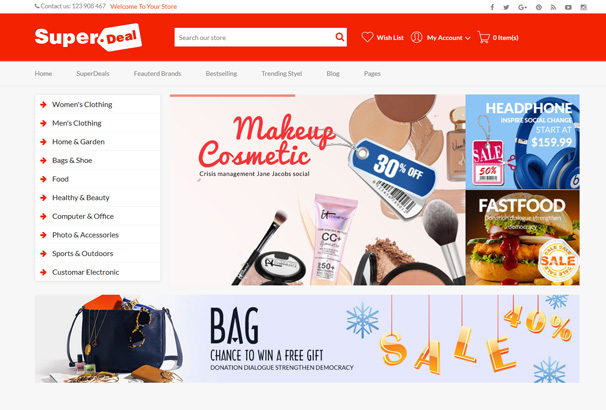 The homepage is specifically designed to showcase latest products, and display different categories and offer your customers seamless browsing experience. You can promote your products with the help of two narrow banners on the top of the theme. 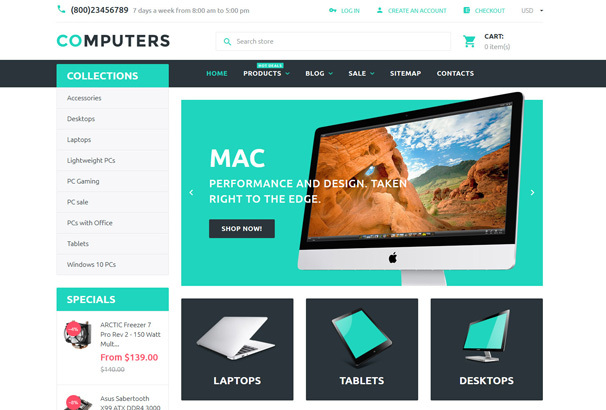 If you are in need for a clean and well coded online store, then Computer Store Shopify theme is your perfect choice. The template looks great on any mobile device and comes with modern flat design and lots of customization options, so you can use this template for different purposes and tailor it to your needs. 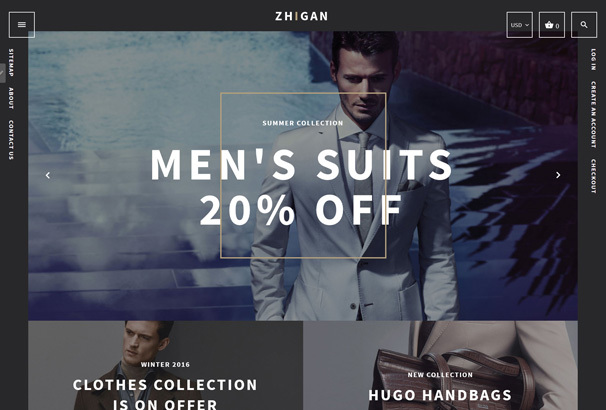 Zhigan is a modern and good looking Shopify theme ideal for any of your e-store projects. It’s coded to the latest coding standards and comes with a variety of customization options that offer great functionality and smooth navigation. The theme is user-oriented and pays special attention to details. 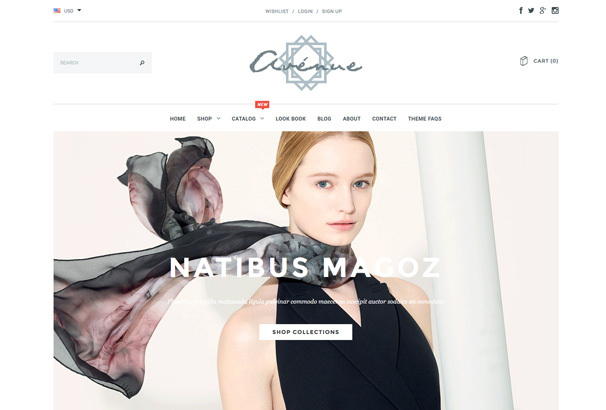 Ideal Shopify theme with a charming and feminine design. 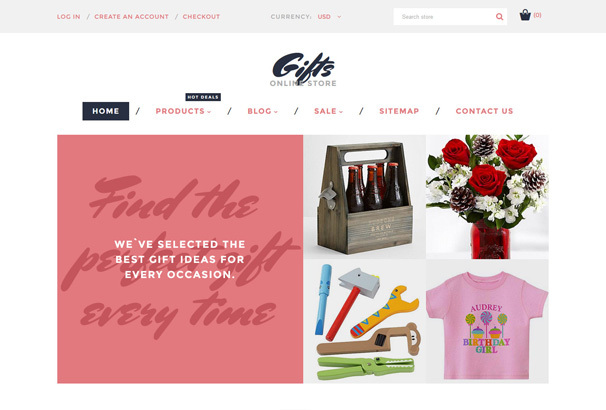 This theme is designed and developed to fit all your gift and flower selling needs and comes with ready e-mail marketing tools to help you jumpstart your business. It’s gentle in design and comes with soft pastel colors, bold typography, and flat design. 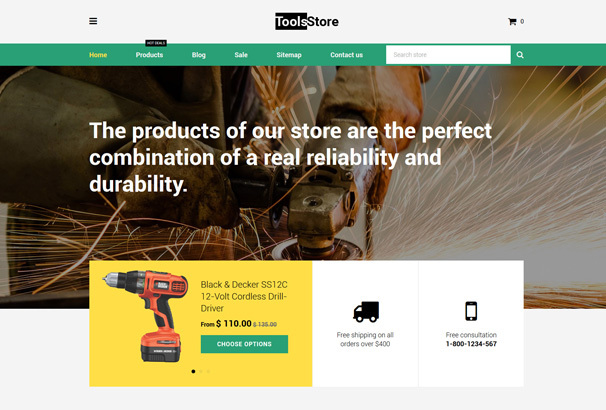 Tool Store is a perfect quality theme for creating any professional online store. It comes with clean and modern design and focuses on a well structured layout of content and images. 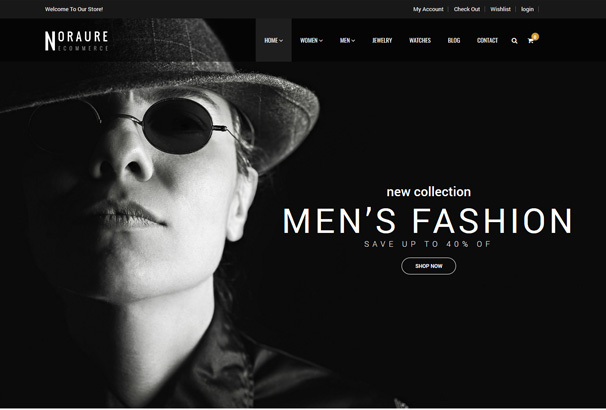 With this theme you will be able to create awesome, good looking, online store and maintenance will be a breeze. 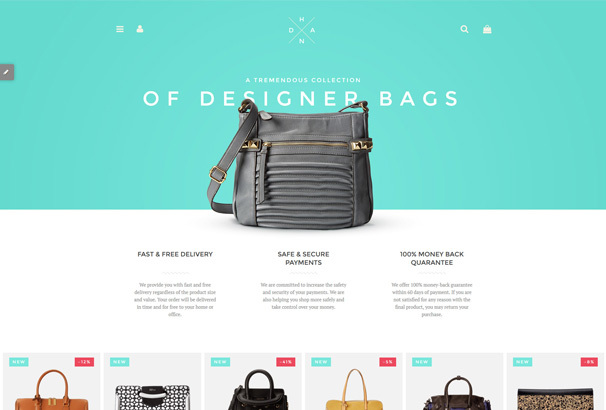 Handbag is a sophisticated and modern online store designed especially for handbags and fashion. It comes with soft colors and mild color palette which will definitely attract your visitors and make them your future customers. The design of this theme is further accented with ghost buttons and well-structured layout. This theme is a great choice for those who are fond of simplicity and minimalistic design. With simple and intuitive content presentation and organization you can be sure that your customers will find what they are looking for. Everything is optimized and ready straight out of the box. 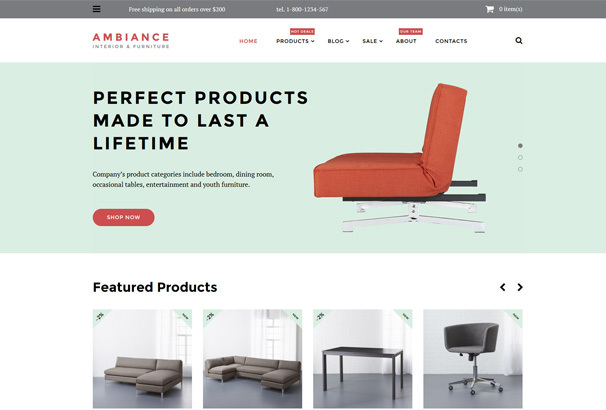 If you are looking for an effective and profitable eCommerce theme then Ambiance is a clear winner. The theme comes with lots of customization options and powerful tools to help you create and maintain top quality and performance. With modern design and advanced functionality, this theme will surely catch your attention. 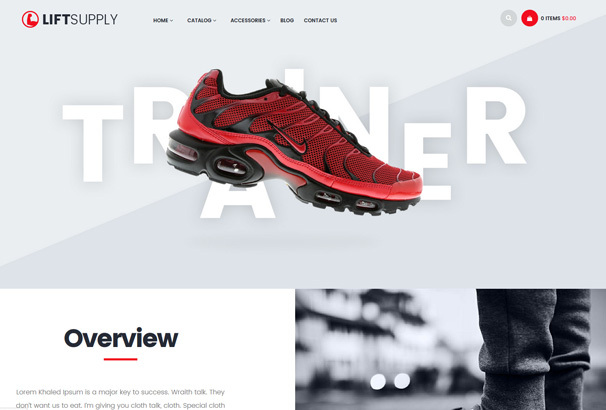 Apparel Shopify theme comes with stylish and modern design, and it’s perfect for all of you who plan on making fashion and designer stores. It comes packed with functionality, advanced theme options, commenting system, and more. It’s responsive and perfectly fits any mobile or tablet device. 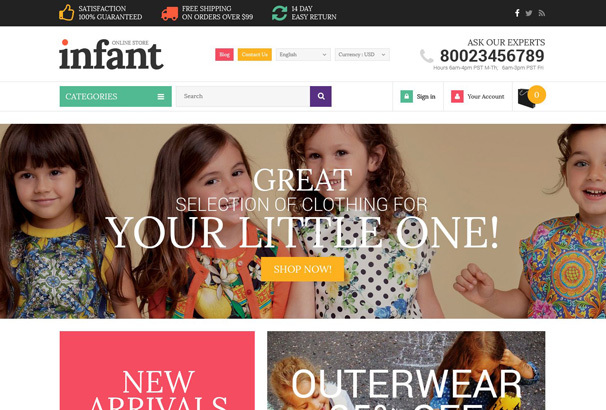 Infant is a modern looking theme ideal for selling children’s clothing, toys, or clothes. It comes with mild colors and it’s built with the Bootstrap framework and offers high performance and speed. With well-documented code, setup of this theme will be a piece of cake. For all coffee lovers, and there are many of us, comes the Coffee. 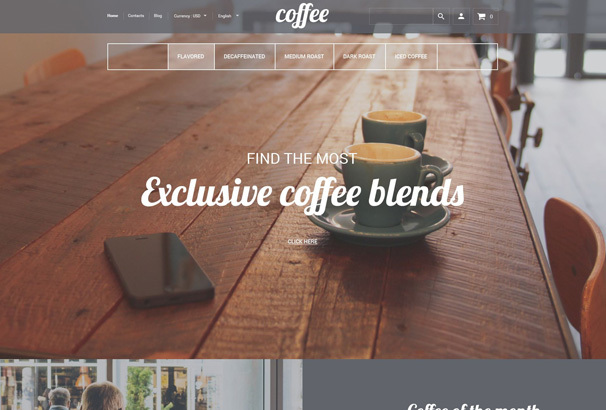 A modern and very stylish online coffee shop template. This multipurpose theme will fit any of your needs. 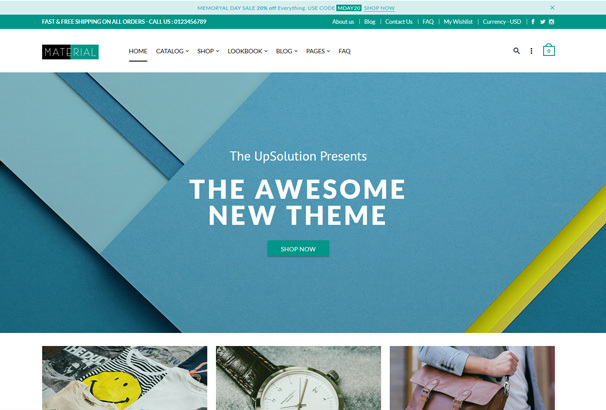 With a support of many features, this theme will power your next awesome website. 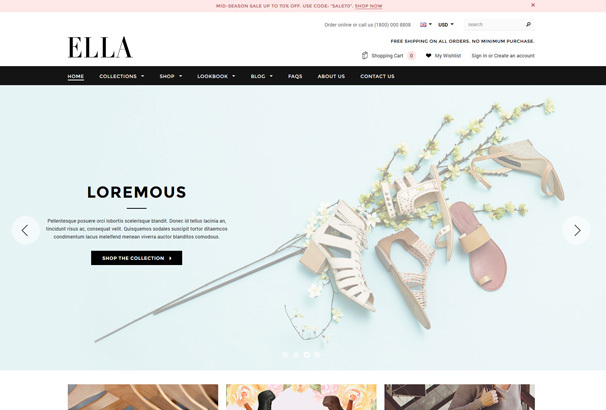 Ella is one of those super clean, gorgeous and modern themes aimed at fashion and apparel stores. It comes with perfect mix and color blends, large banner, and well-oriented layout to help you showcase your best products and capture your visitor’s attention. Also, theme offers Ajax layered navigation to make browsing and searching easier, and it’s responsive and looks flawlessly on mobile phones. Avenue comes with clean and neat design, and it’s specially designed for a mobile shopping experience. It looks good on all phones and tablets and with powerful admin backend, it offers lots of customization options. 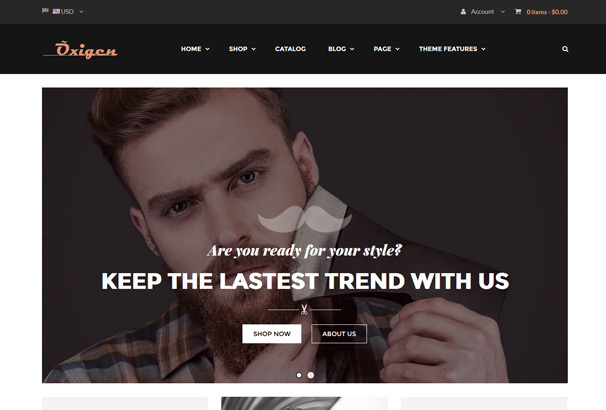 The theme comes with Ajax support and Megamenu to showcase your latest and hottest products. Material is a new and awesome looking theme. 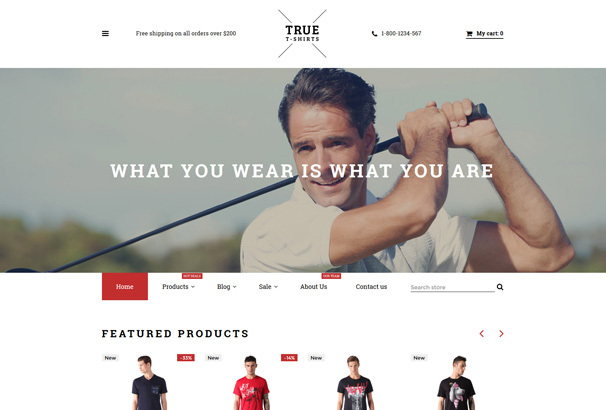 It’s perfect for any kind of online store and it synthesizes functionality and great looking design. It comes with lots of features and options for advanced filter module, Instagram feed, QuickShop and unlimited color options and palettes. Definitely a theme worth your money. 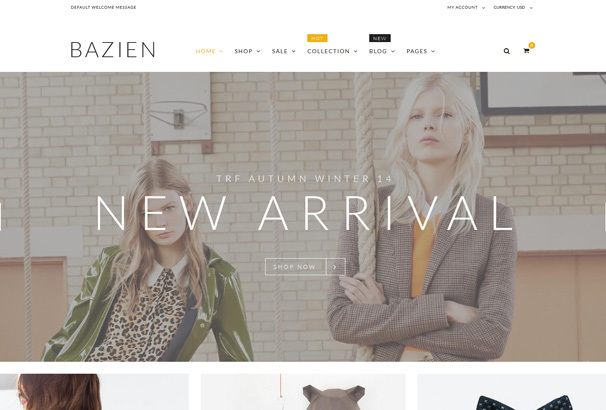 Bazien is a modern and retina ready Shopify theme that comes with 6 homepage layouts, Megamenu and Wishlist support, and much more. It’s perfectly optimized for conversions and speed and with SEO friendly code, and responsive design, you don’t need to worry about your search engine rankings. 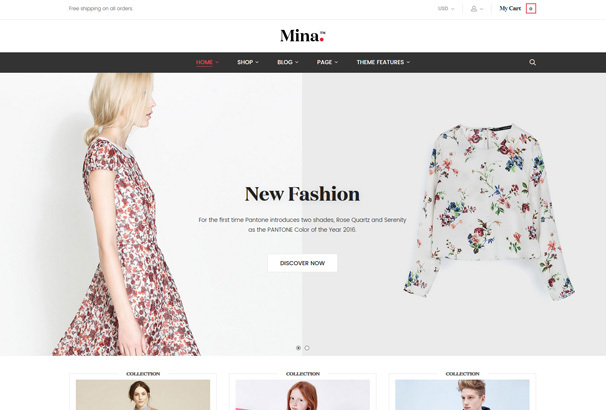 ST Mina is a perfectly designed theme that mixes and matches different colors to achieve stellar design and become attractive to your customers. It has large banners, information blocks, and sliders to catch your visitors and turn them into users. It’s built with the Bootstrap framework so it’s responsive and fast. Definitely worth a test drive. Material design is a trending now, and Novetty fully utilizes this new trend. 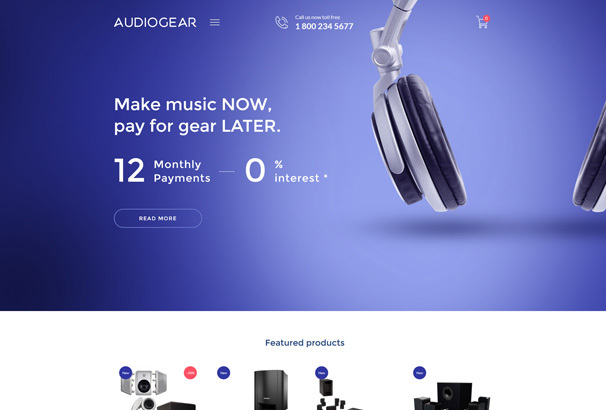 With awesome looking homepage and multi-concept approach, this theme offers unlimited design and layout options to choose from. It’s perfectly suitable for all fashion, furniture, beauty or cosmetics store. It comes with everything you need to start right now. 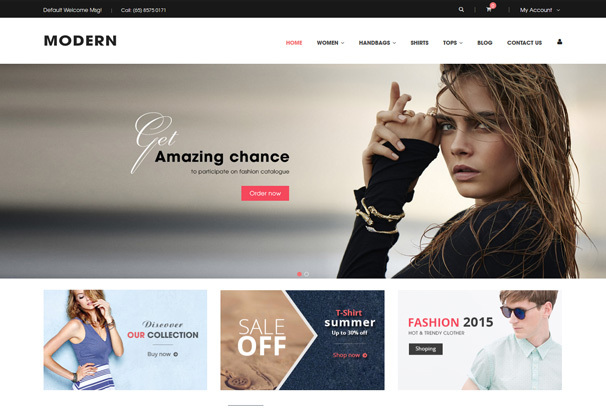 Orion is a Mega Shop theme that comes with clean and modern design, suitable for selling large amounts of items. It comes with responsive design, the latest version of Bootstrap, 4 homepage variations and Google Web Font support. Ideal for any large scale businesses. Noraure comes with design in mind. With beautiful colors and typography, you will have everything you need to start your online store. This theme is suitable for any online store and comes with large eye-catching slide shows to attract customers. It’s responsive and user-friendly with smooth transitions and lots of options. This theme has very beautiful design and gorgeous interface to communicate your future customers. If you are tight on budget you can be sure that this theme will pay for itself. It’s built on Bootstrap 3 framework and comes with powerful theme options that allow you to customize everything you want. Lift Supply is a modern and good looking premium theme that provides you with lots of customization options. It’s designed for single product and offers awesome 360 product view to impress your customers. It comes with 2 homepage layouts and with detailed documentation and customer support, it will definitely be your next go-to theme. 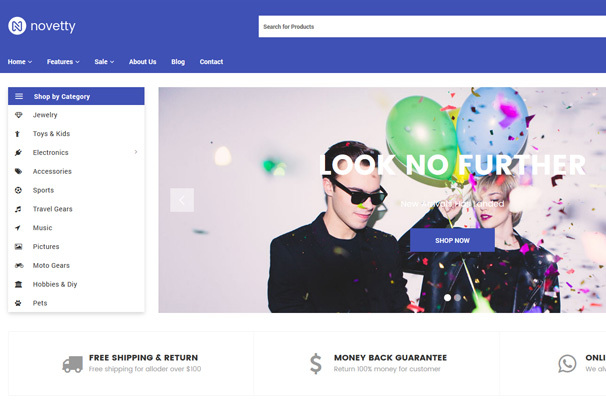 As its name suggests, Modern is a clean and beautifully designed Shopify theme ideal for selling your fashion products or accessories online. It’s simple and minimalistic and with great responsiveness, it will look equally astonishing on any mobile phone or tablet. 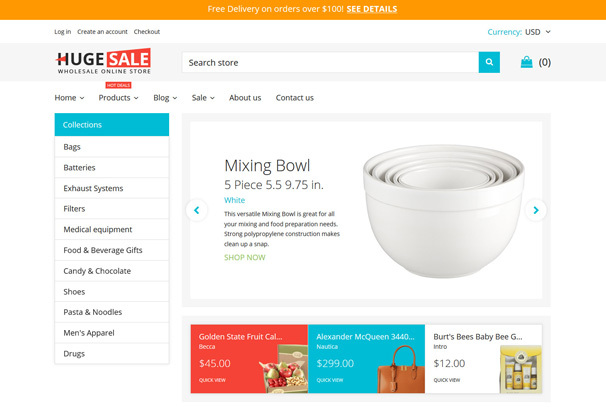 Superdeal is a premium Shopify theme that comes with advanced options and admin module. With this options, this theme is easy to customize and adapt to your style. It’s fully responsive and it’s great starting point for any of your online shop projects. Hi, Shopify is more and more popular in the world, so you have many choices better. And may you use some Shopify of us, I’m sure it make you satisfied. Cause we are have a good team with the best supporting for u. why don’t you try use it?